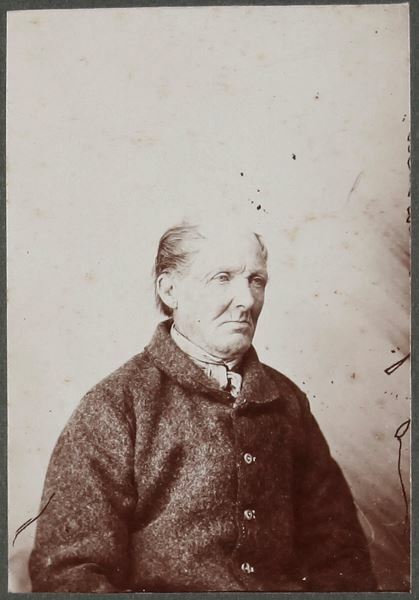 These police mugshots taken by police and commercial photographer Thomas J. Nevin in the 1870s-80s at the Port Arthur prison, the Hobart Gaol (assisted by his brother Constable John Nevin) and the Hobart Municipal Police Office (Mayor’s Court, Hobart Town Hall) are held in the John Watt Beattie Collection at the Queen Victoria Museum and Art Gallery, Launceston, Tasmania. 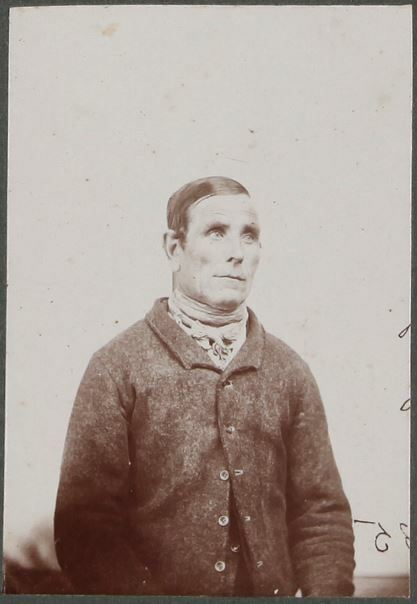 Most are Nevin’s originals and duplicates produced in vignette carte-de-visite format; some were reproduced from Nevin’s glass negatives by Beattie for sale and exhibition in Hobart at his museum and in Sydney at the Royal Hotel in conjunction with convictaria from the fake prisonship Success (1916). 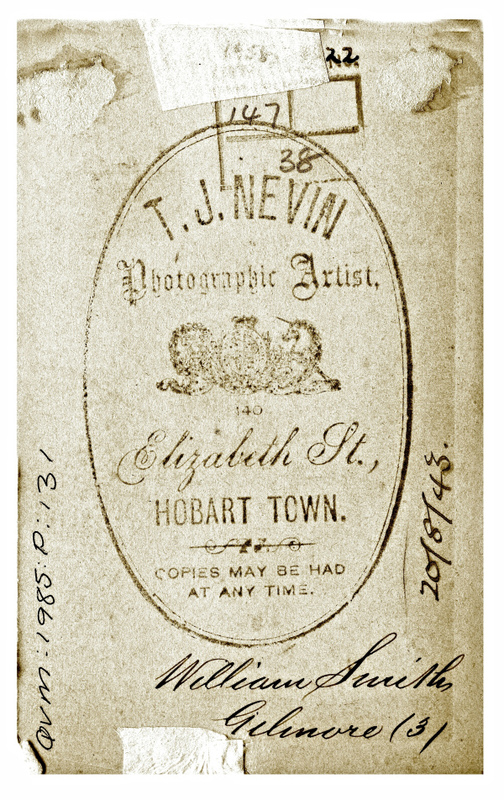 An exhibition of these photographs by T. J. Nevin was held at the QVMAG in 1977. 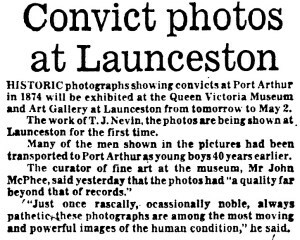 Exhibition held in 1977 at the QVMAG. 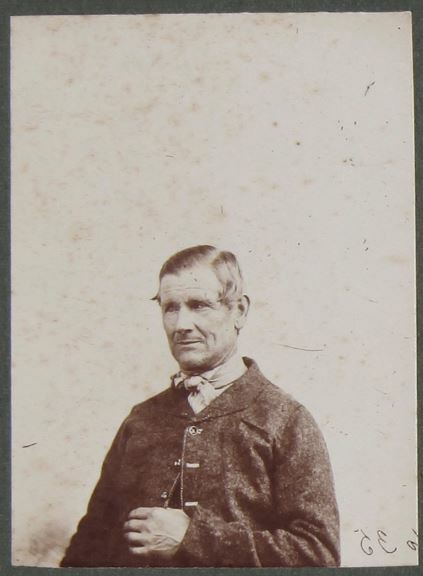 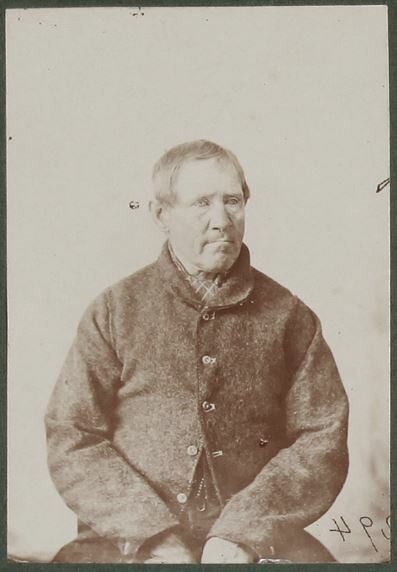 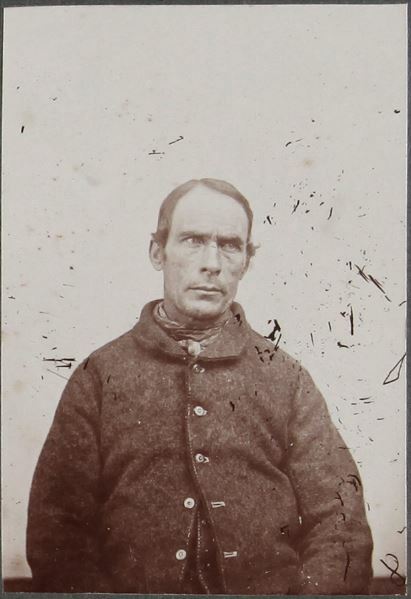 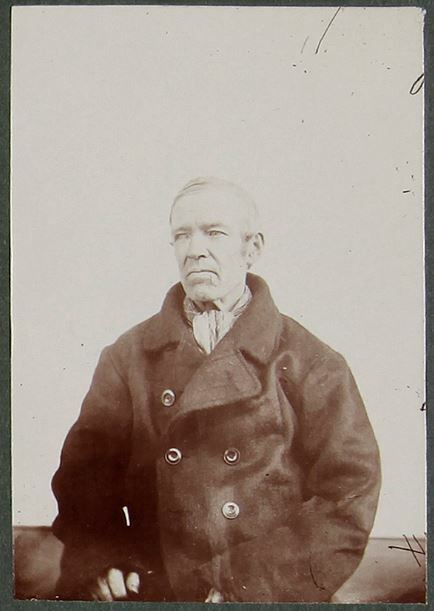 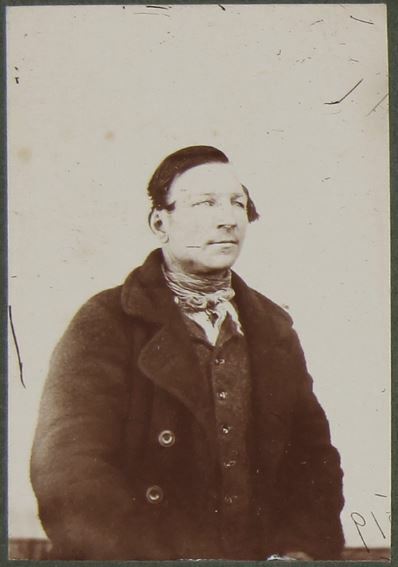 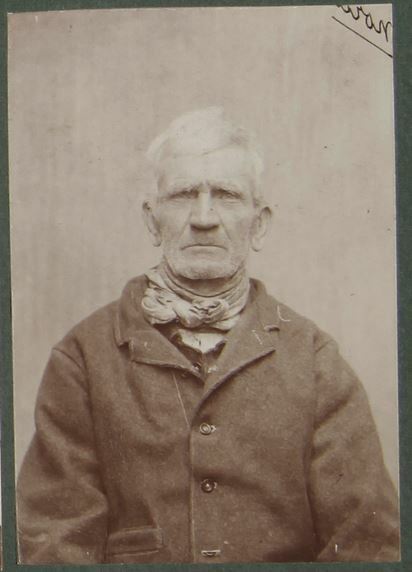 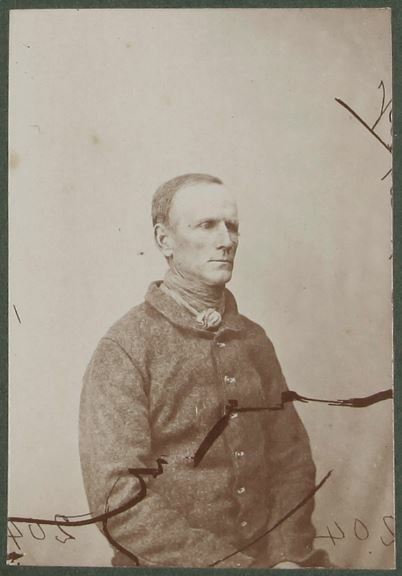 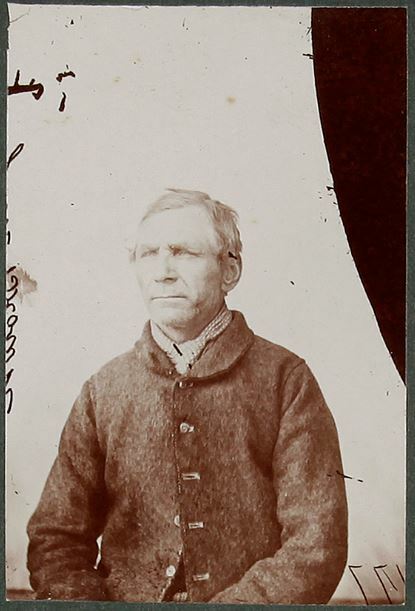 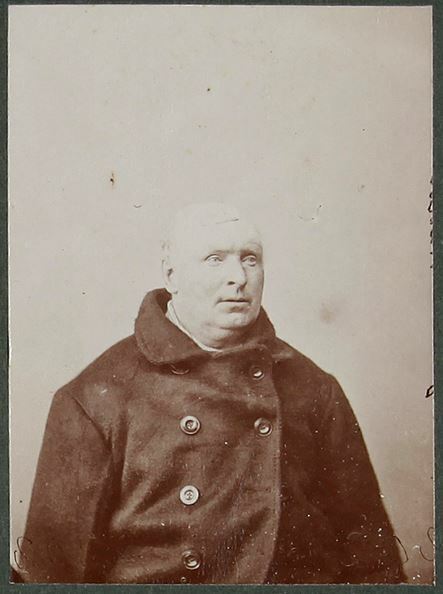 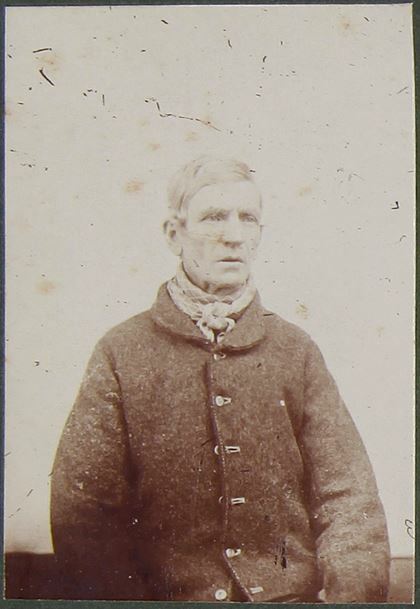 At least fifty more of these prisoner photographs from the 1870s which were originally held in the QVMAG collection were removed in 1983 for an exhibition at the Port Arthur heritage site and not returned, deposited instead at the Tasmanian Museum and Art Gallery, Hobart. 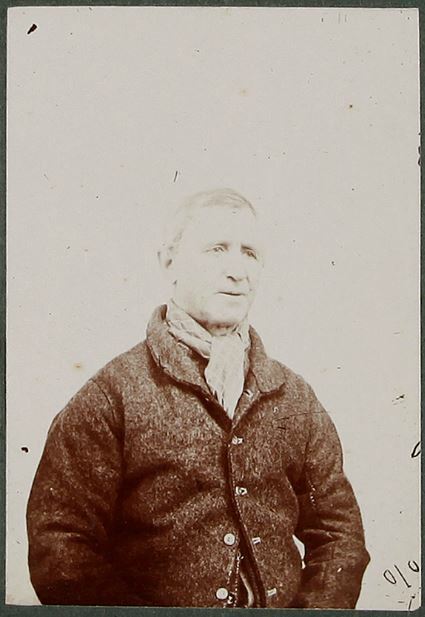 Only 72 cdvs of the much larger donation from Beattie’s estate in the 1930s are now extant at the Queen Victoria Museum and Art Gallery, Launceston. 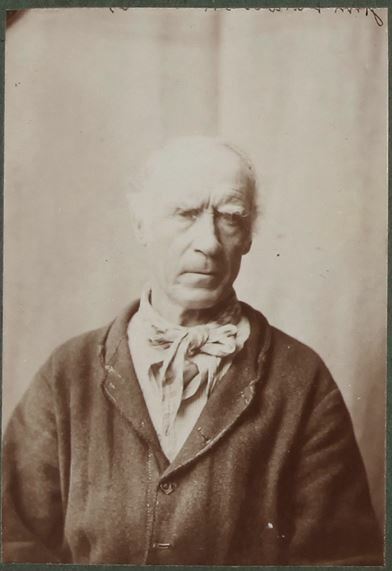 Click here to view the TMAG collection digitised for KLW NFC Imprint (2015). 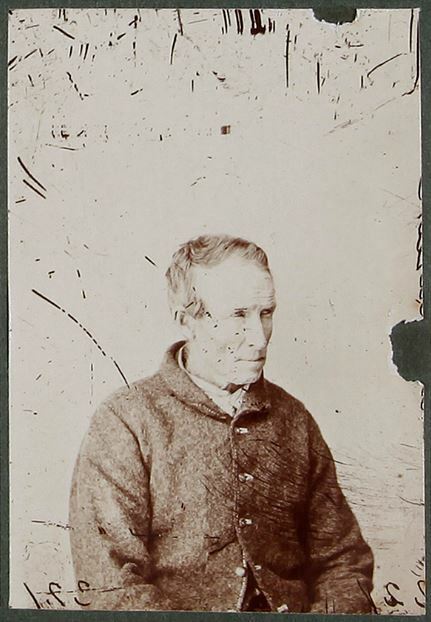 The majority of the prisoner photographs held at the QVMAG and the TMAG bear a pencilled number on the front. 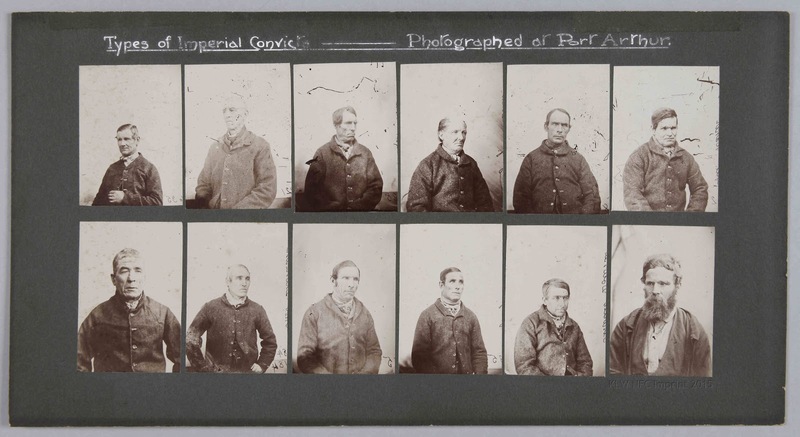 Those numbers appearing as missing prisoner photographs on the QVMAG lists of 1-300 convict cdvs which were originally archived at the QVMAG in Beattie’s collection had been physically removed from the QVMAG collection in 1983 by Elspeth Wishart for a display and exhibition at the Port Arthur Heritage Site. 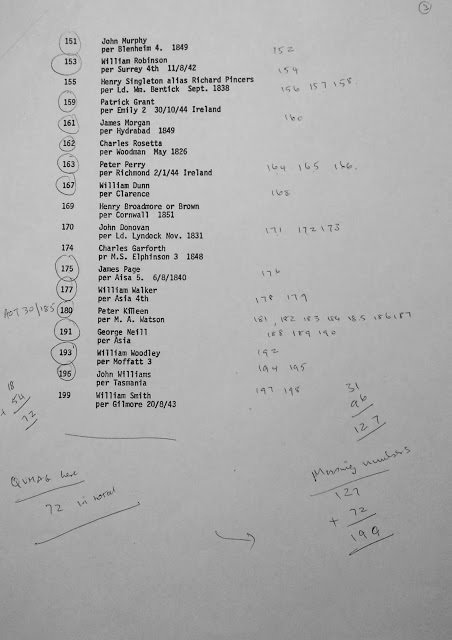 The numbers pencilled on the right show those which were removed in 1983 and taken to Port Arthur for an exhibition, but were returned to the TMAG and not the QVMAG . 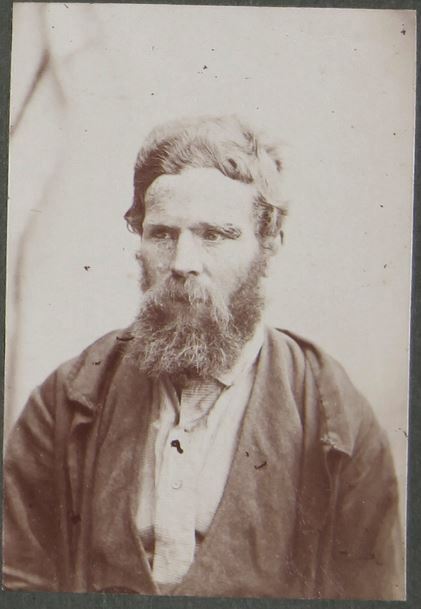 These same original 1870s prints were copied at the QVMAG in the 1980s as black and white photographs, considerably cleaned of scratches and cracks. 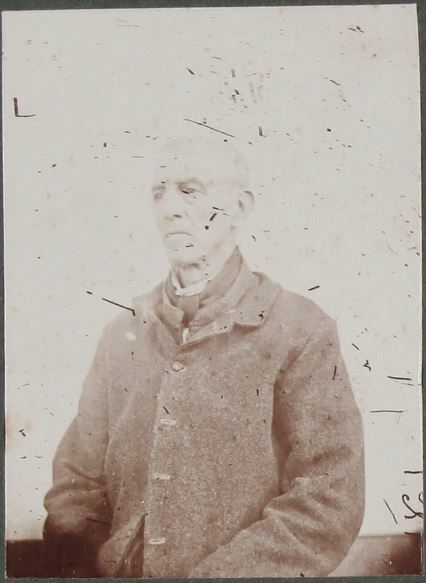 Amateur historian Chris Long spent a few weeks at the QVMAG in Launceston in 1985 re-photographing as black & white prints the 40 uncut cdvs of prisoners taken by Nevin in the 1870s (those on the three panels, example above), fogging out cracks and scratches on the sepia originals in the process for reasons only known to himself, since they serve no purpose, unless he single-mindedly decided to muddy their provenance as Nevin’s, and their primary function as police mugshots, in order to cover up his stupid error in proclaiming that Nevin didn’t take the photos, contradicting historical evidence and the experts in the field, and that they were taken by the Commandant at Port Arthur, A. H. Boyd, never before heard of as a “photographer” by anyone for the simple reason he wasn’t one. 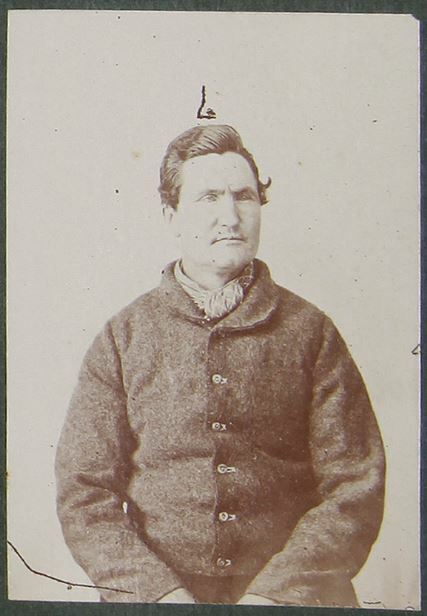 No photograph of prisoners or of any other subject in any genre was ever attributed to the non-photographer A. H. Boyd prior to Chris Long’s long game of gambling his reputation on this silly claim. 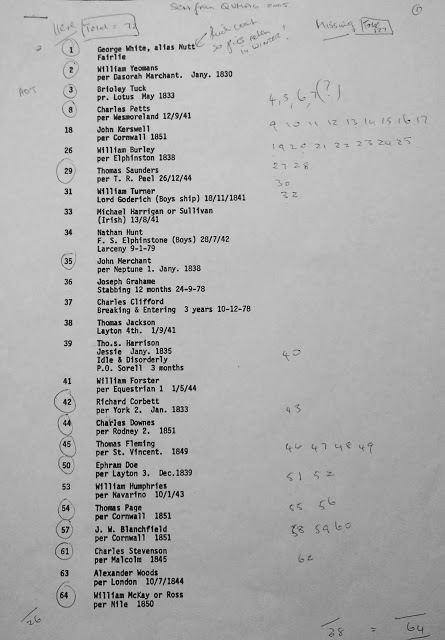 Chris Long’s impulse as usual was to satisfy his personal need to imprint his own fantasy on primary historical documents until the facts about them all but disappear under his gifted amateur touch (gifting himself and grifting others in the process). 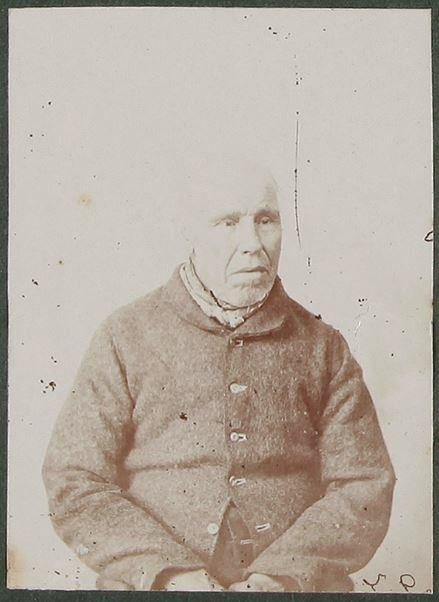 The originals of the 40 uncut cdvs had been removed from the prisoners’ Hobart Gaol rap sheets of the 1870s by John Watt Beattie and pasted in three panels for exhibition and sale in 1916. 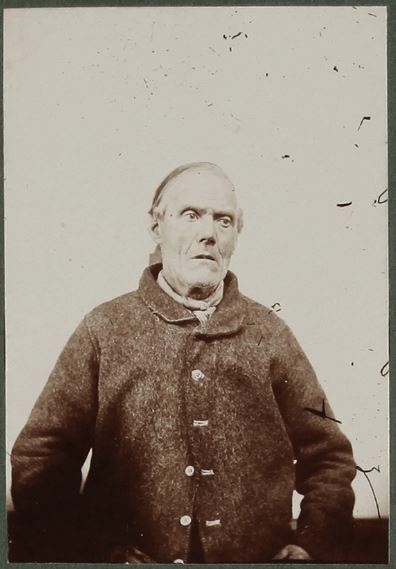 A selection of the QVMAG collection of these mugshots was exhibited at the Art Gallery of NSW in 1976 and at the QVMAG in 1977 as the work of Thomas J. Nevin . 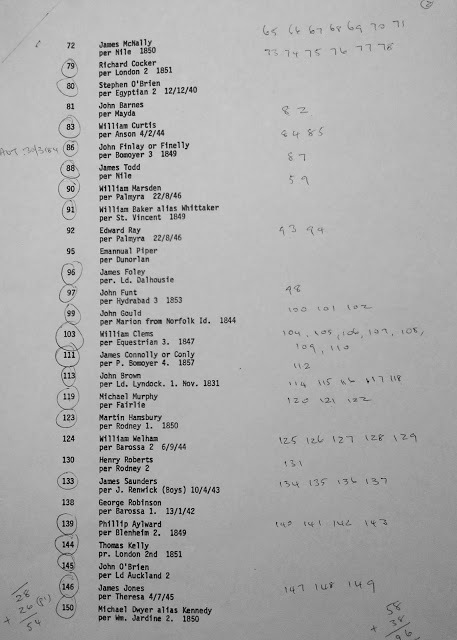 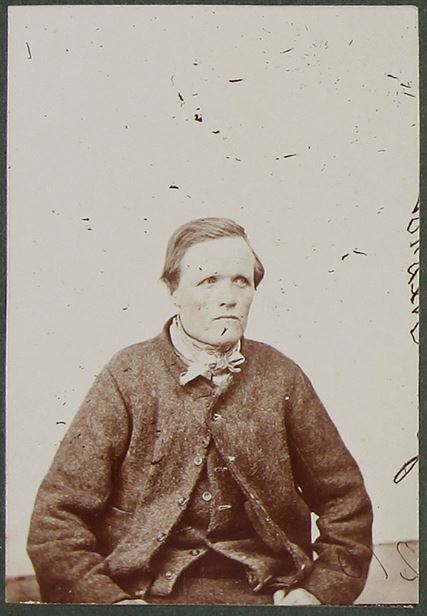 All of the prisoners in the photographs mounted as cdvs had been named by that date – some incorrectly – by archivists either for the 1934 exhibition in memory of John Watt Beattie and his convictaria collection, or by the curatorial staff there in 1958, in 1977, in 1983-5, and 1991 – dates which appear either on the versos or in the accession sheets of public institutions which received Nevin’s originals, Nevin’s duplicates, or Beattie’s copies. 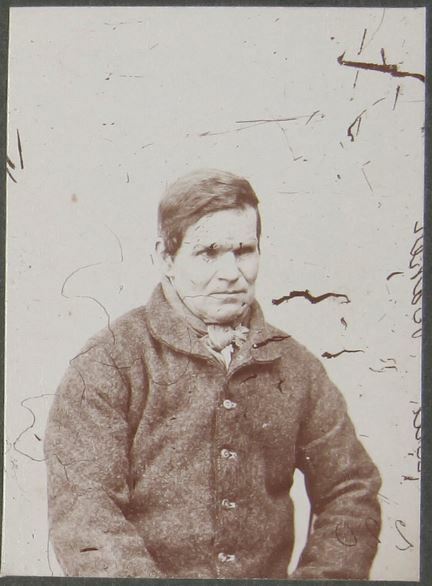 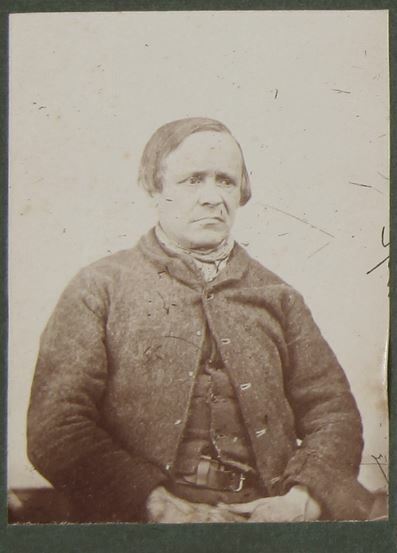 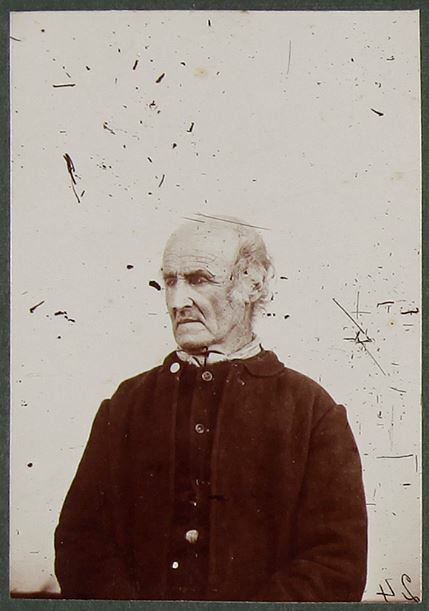 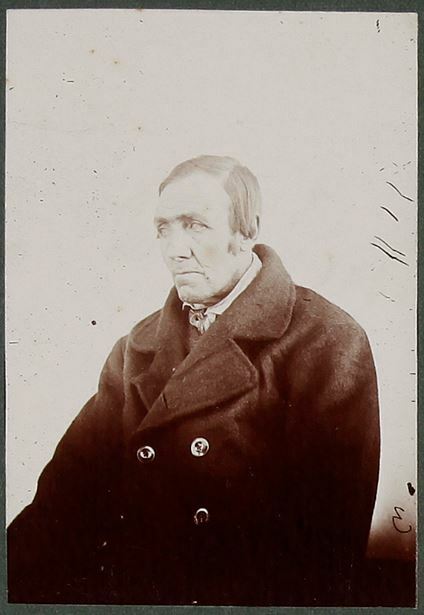 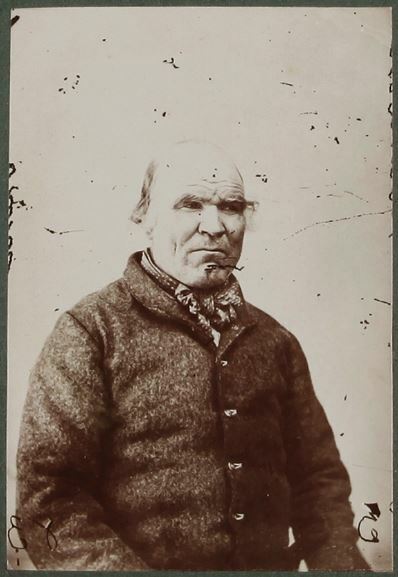 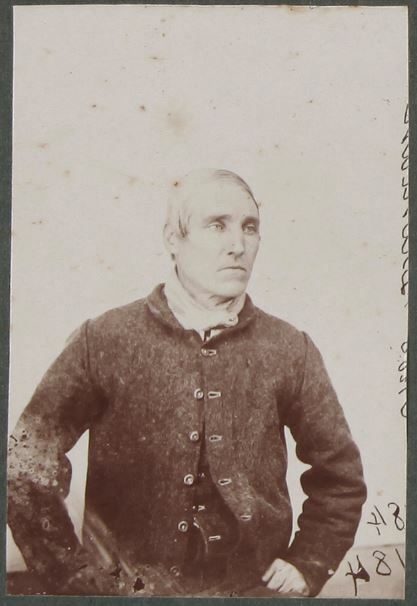 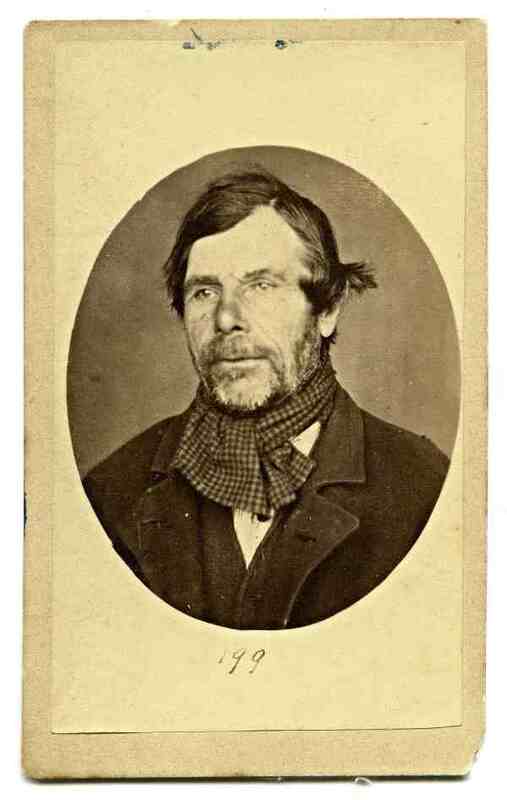 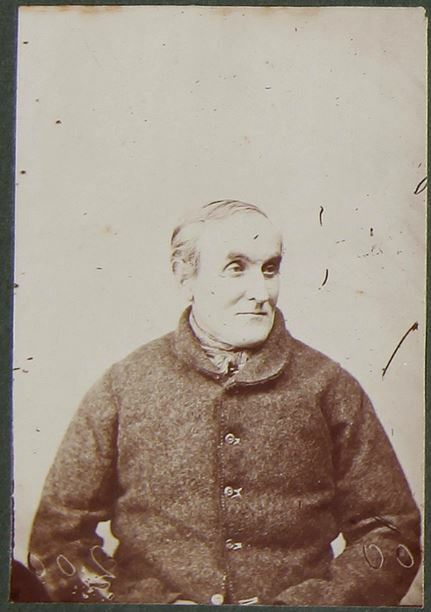 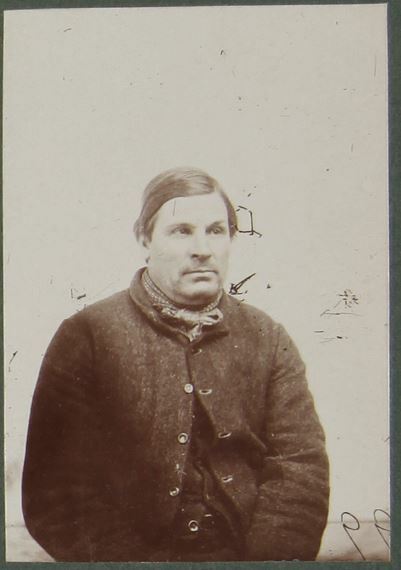 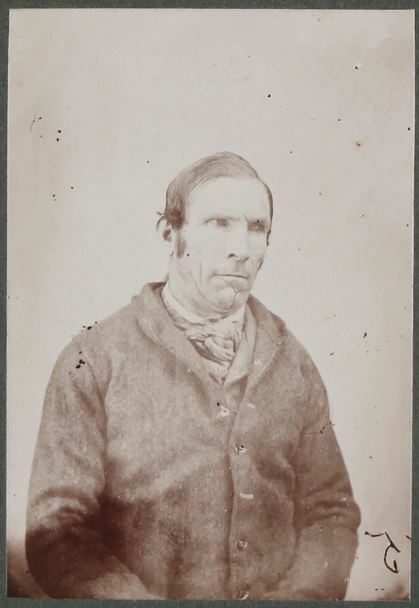 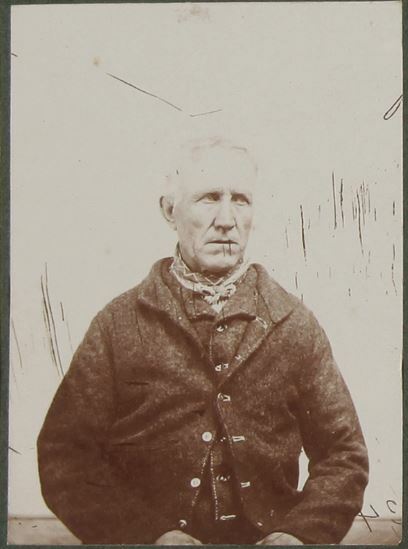 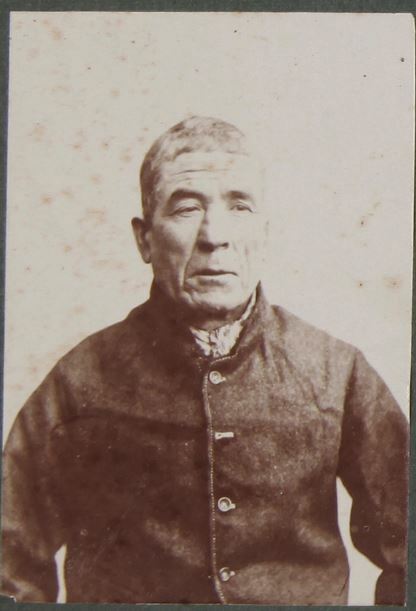 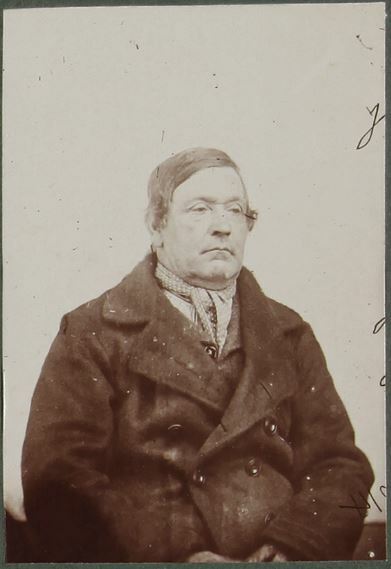 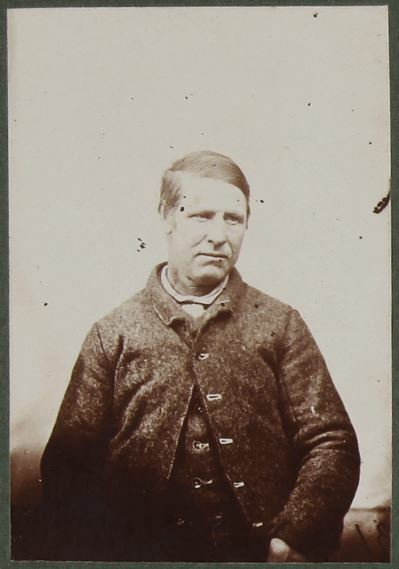 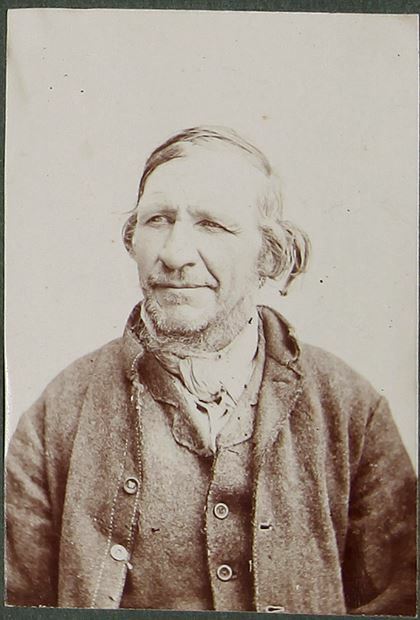 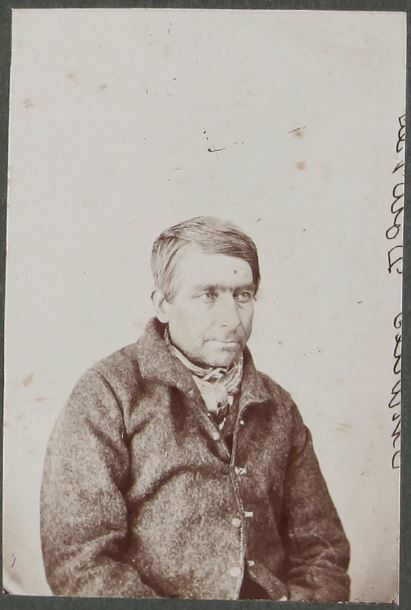 The Archives Office of Tasmania holds similar images, both originals and copies, and some are of unidentified prisoners, although the same man in the same print is identified in the QVMAG collection. 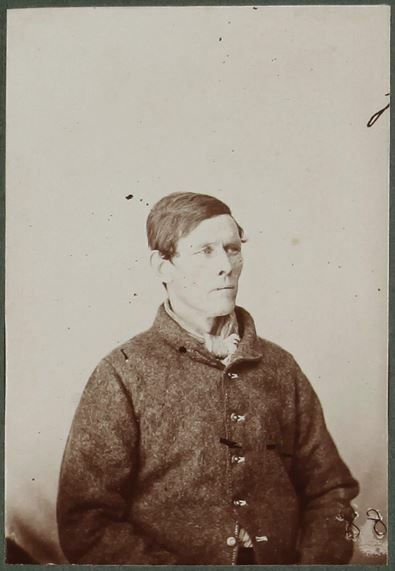 All men pictured in the mugshots held at the National Library of Australia in Canberra – and many picture the same men as those listed in the QVMAG collection and in the National Library’s collection – were identified on accession in 1962, 1982 and 1985, including the identity of the photographer T. J. Nevin, indicating clearly that the NLA received its collection from Tasmania. 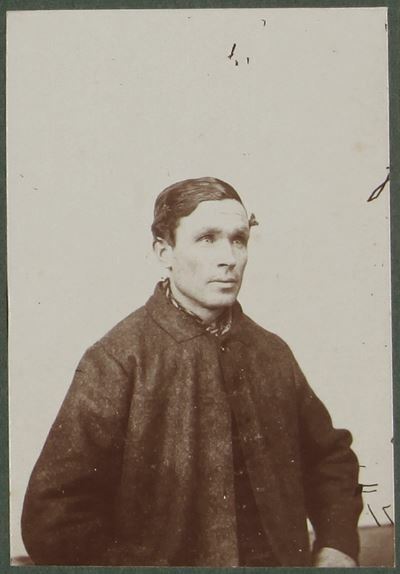 The prints below are Chris Long’s cleaned-up black & white reprints from Nevin’s 1870s sepia prints which Beattie had pasted in three panels, and which Long reproduced in 1985 at the QVMAG, their purpose known only to Long himself. 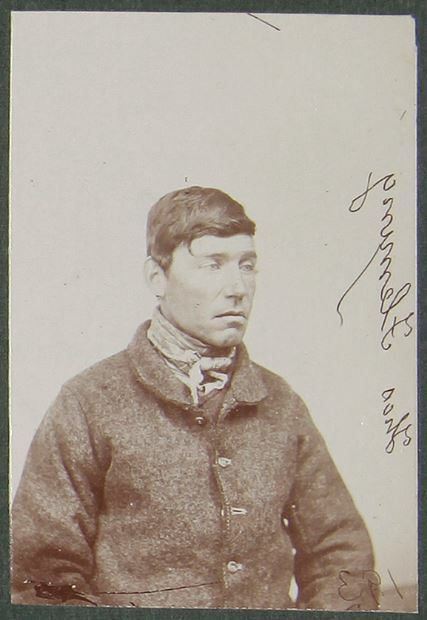 Most of these prisoners have been identified. 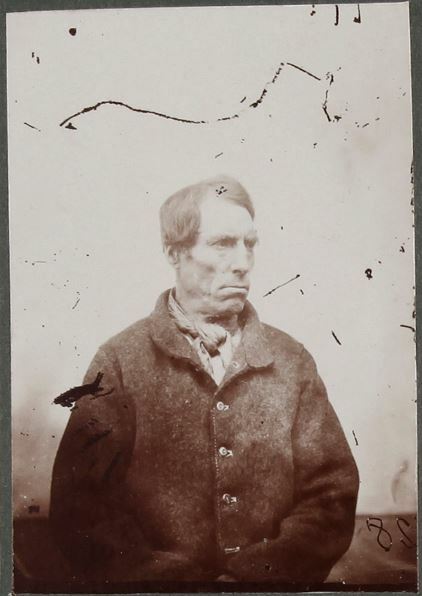 With some patience, the prisoners in these reproductions at the QVMAG (1985) can be identified by collating the sepia uncut originals (1870s) with the original carte-de-visite prints inside oval buff mounts (1870s-1880s) held at the QVMAG, TMAG, and NLA, leaving a bundle who remain unidentified.